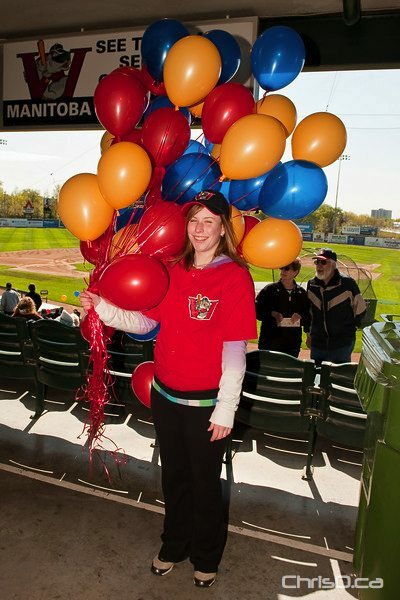 Fans filled Canwest Park on Saturday as part of the Winnipeg Goldeyes’ annual Open House. The box office was open for business, and hot dogs and drinks were given out to the first 1,500 people through the gate. It was a little breezy at the park, but nothing some of the new merchandise being sold couldn’t fix. Fans also had the opportunity to see the inner workings of the park, including getting a bird’s eye view from the press box as manager Rick Forney held a team workout on the field.